The vision of Microsoft for the upcoming opportunities and features of computers tend to create a new-fangled realm for Windows. From the time when Microsoft brought out or made the public known of its Windows 8 version, the whole world have been dying to watch and are waiting for the release and full implementation of this new version. And so we were able to see the feature themes that have driven the Windows 8 to little by little form into a concept. This new OS (operating system) has the ability to apply or adopt lessons that is from mobile to be applied to your personal computer – which is absolutely a way more innovative. Other important matters that are essential to the whole operation process include the strong connectivity, seamless updates, cloud access to files (personal) and also a user-friendly environment or easy to operate interface – these features are all obtainable and come in package with the latest version of Windows, the Windows 8. Rest assured that it works perfectly in the company of keyboard and mouse. Also it can be highly operated or navigated through its touch screens feature. Windows 8 has strong grasp for apps, sync lives as well as amour for real time updates. However, you must be open about issues and reality that somehow it will really take enough time for you to be used to all of these things. The above mentioned are just some of the previews about Windows 8, of what it is supposed to do, how well it functions and some of its features. On the other hand what’s big deal about Windows 8 is that its functional networking feature (ad-hoc networks) was quietly eliminated by Microsoft. So here are some tips on how to turn Windows 8 personal computer into a Wi-Fi hotspot. 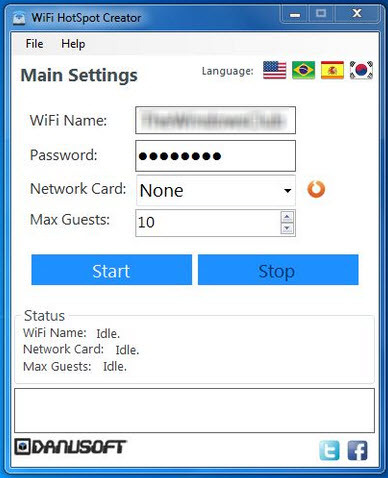 There’s this WiFi hotspot creator which is easy to handle, this tool is very handy and can make some few clicks so for you to be able to access the Internet or for you to have Internet connection respectively. Also, through this wireless tool you can able to connect to other devices available. Among this other devices are smartphones, netbooks, notebooks and tablets. Rolling out Windows 8 PC to into a wifi hotspot is not that difficult to manage since WiFi HotSpot Creator is simple to carry on and it works in a very simple way. There’s no need for you to administer a networking configuration control panel and the other likes or the same procedures. The ICS or what is known as Internet Connection Sharing option of the existing connection is put into an auto-enable mode. This is somehow responsible when you want to roll your PC as a Wifi hotspot. The process is made a lot easier as you no longer need to go through a long and tedious process of getting in to a Network and Sharing Center. This way, you can easily open and connect to the Internet line. See how easy it is to roll up your Windows 8 into a wi-fi hotspot. What you need to do is just to run the wifi hotspot creator tool. 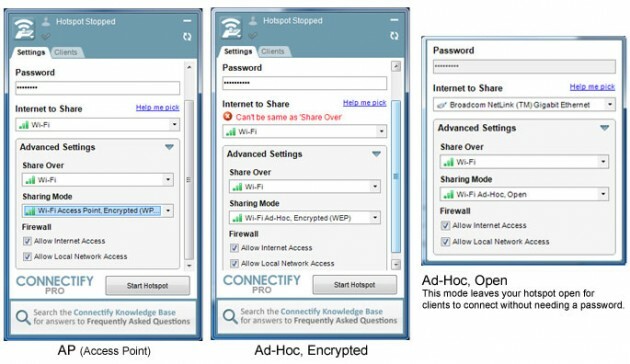 You will only be asked to provide the following information and details as well as some instructions which are as follows: Enter the valid name of the connection (this is right after the Name SSID); also, you will be asked for the password on which you have to passphrase subsequently to the item. And just from menu (drop-down) which is located after the item, you will be asked to select the particular NIC that is of your own choice. This is the internet connection that you may want to share with others. Drawing it from here, you will then able to form as the source of the hotspot on which several devices can able to connect. After choosing from the said menu and when you are done, just hit the start button; leading you to make the secured base WPA-WPA2 PSK wi-fi hotspots connection. As such, you can now able to allow connection to those of wi-fi enabled devices that does not able to do so with the wireless ad-hoc network. Generally speaking, WiFi HotSpot Creator functions and works just so fine. Yet, the system program tends to set up a toolbar in the browser without prior notification or asking for your approval. But as you can see, the designed interface is easy to handle, very simple and so minimal as well that it only has the presence of keys which are the start – for the WiFi hotspot to start; stop – to stop the WiFi hotspot; and exit – to exit the whole process or application. Connectify Hotspot is another such tool which lets you share the quota of data be it LAN, Wi-Fi, 3G, 4G or Mobile Internet. This is one tool which can even be used to increase the signal strength of your WiFi so that reaching out to others through the Ad-hoc doesn’t weaken the signal to a great extent. However the Pro version offers much more features. Important Reminder: When the WiFi HotSpot Creator keeps on working improperly then you have to update the network card’s driver. Taylor Miller is a freelance writer and blogger laying out for tech news via online exposures. She is the author of the site: iPhone tracking where you can get valuable information about spy software program on your cell phone. I HAVE WINDOWS 8 PRO. I HAD DOWNLOADED THIS SOFTWARE AND INSTALLED IT. BUT IT DOES’NT RECOGNIZE ANY OF MY NETWORKS. I WANT IT TO BROADCAST MY DATACARD’S INTERNET. IT IS A 3G CONNECTION. AND IS THERE ANY OTHER SOFTWARE WHICH COULD BE SUCCESSFUL IN DOING SO ? THIS IS REALLY true . its working for me fine !!!! the dropdown box contains nothing , i can connect through wifi but there is no internet connection. What will i do?